Peanut sauces vary in spiciness. Choose the one that suits your family’s taste. 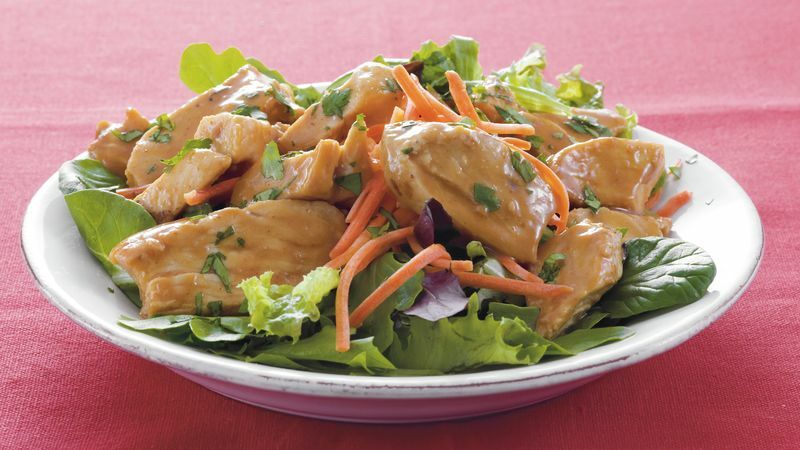 If chicken strips aren’t available in your grocery store, substitute any cooked chicken breasts, cut into slices.